Anything & Everything: 1st Malaysian To Blast Off!! 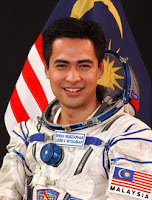 Wow, Dr Sheikh Muszaphar Shukor gained the chance to make history! 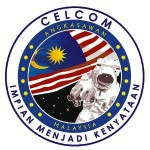 1st Malaysian to blast off to outer space!! Dr Sheikh Muszaphar Shukor at the left, Yuri Malanchenko at middle and Peggy Whits at the right. The Soyuz-FG rocket launcher blast off from the Baikonur Cosmodrome. View the Soyuz -FG rocket launcher, carrying the Soyuz TMA-II spacecraft with Malaysian cosmonaut Dr Sheikh Muszaphar Shukor and crew members on board, blasted off from the Baikonur Cosmodrome!! Dr Sheikh Muszaphar Shukor will be back at 21st of October, pray for their safe journey all the way. Wait...didn't they sent space marine and space rangers too? After they abduct by space squirrels then how?